Priced by the hour, this option is popular with film industry, corporate, government and leisure clients. Please enquire for larger groups or specialty orders. We can tailor a package to suit. This option is popular with the Film Industry, Corporate and Government clients. - This charter rate includes driver's cost of living allowance (away from home). 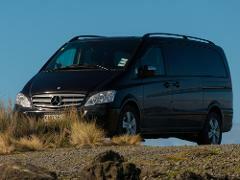 - Private vehicle relocations (cross country etc). - Supplying Obsidian drivers to partner companies. - any situation where you need a safe and professional driver to operate your vehicle(s). - Driver meals and accommodation if staying away from home.